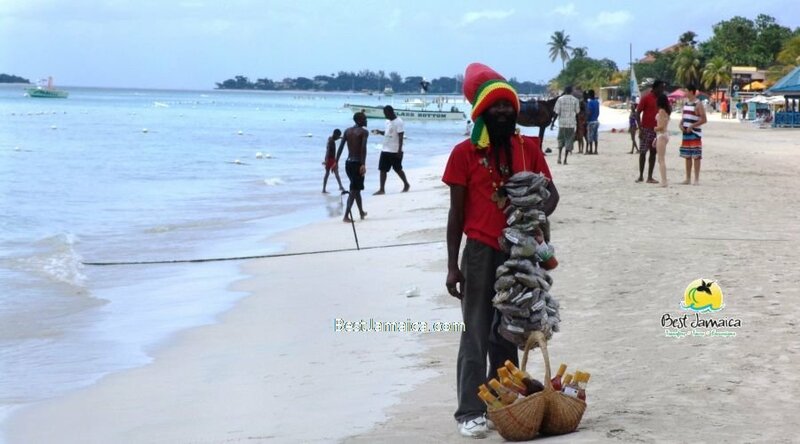 Negril Beach Tour from the Montego Bay Cruise Port is a great way to enhance your western Caribbean Cruise. Best Jamaica, the number one Tour Company on the island offers top quality private trips to Negril Beach with the aim to create long lasting memories that is second to none. Jamaica is known for many things and beaches are one of them. However, the Seven Mile Beach in Negril undoubtedly tops them all. Doctors Cave Beach is by far the best beach in Montego Bay. In fact, it is the catalyst that catapult Montego Bay on the world stage as a tourist destination. During the 1950s, the waters of the Doctor’s Cave Beach was purported to have had curative properties which attracted thousands of visitors annually to the island. Today the beach is just as beautiful and still command adoring fans. Montego Bay is the second largest city in Jamaica and is also the tourism Capital of the island. Originally called Manteca by the Spaniards with mean “Lard”, as Montego Bay was a major port for the shipping of pig fat which used for this product. Montego Bay is dubbed the complete resort boasting the island busiest airport, cruise port, historic churches, Civic Center with artifacts to help you revisit the past, hotels, restaurants, shopping etc. Best Jamaica the ultimate Tour Company has a great highlight tour waiting for you. The Blue Hole has it been affectionately called is a manifestation of the mystical work of nature. It is deep, blue and gushing. It offers rope swings, jumping, diving and even a little cave exploration. 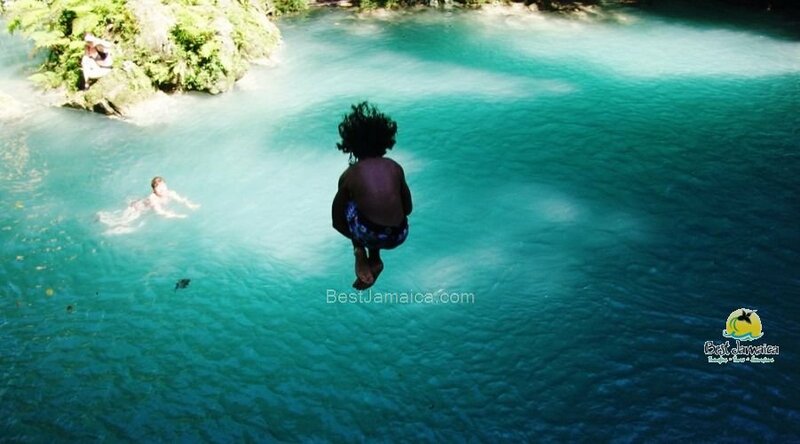 Best Jamaica, the number one Tour Company on the island offers private excursion to the Blue Hole from the Montego Bay Cruise Port. We have super rates, great vehicles and the best driver/guides. With fun seekers in mind, we are now offering a combination of River Tubing and the Blue Hole Secret Falls. This is a great way to double the fun while your ship is in port. Both of these excursions are within close proximity to each other, which cuts down travel time. In fact, both are done on the same river which is called the White River in Ocho Rios. The river is swift enough for some adrenalin rush when tubing while still safe for children. The Blue Hole experience is totally out of this world- a must do!!! A perfect way to enhance your cruise by having the time of your life. If you had ever dreamed of riding horses, this is your perfect opportunity. 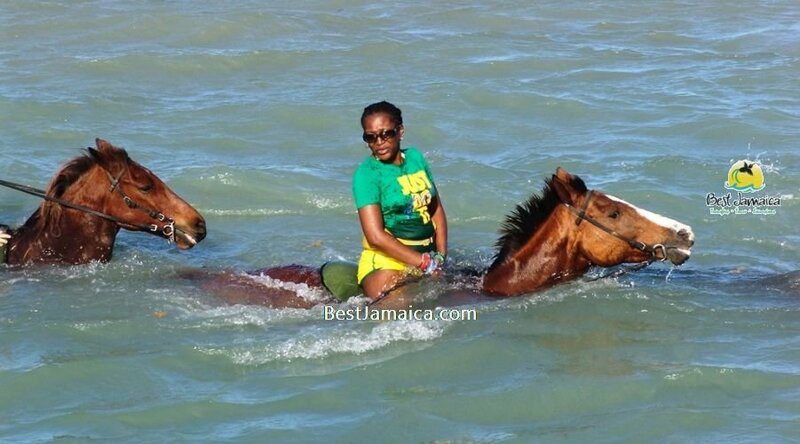 Not only will you get to ride but also taking the horse for a swim is one in a life time opportunity. Combining this activity with the Blue Hole Secret Falls is just phenomenal. These two are just a match made in heaven- one in which you should definitely indulge. Now choosing is not so easy anymore as this must be playing on your mind. This combination is from two different walks of life that will satisfy even the dullest of us all. 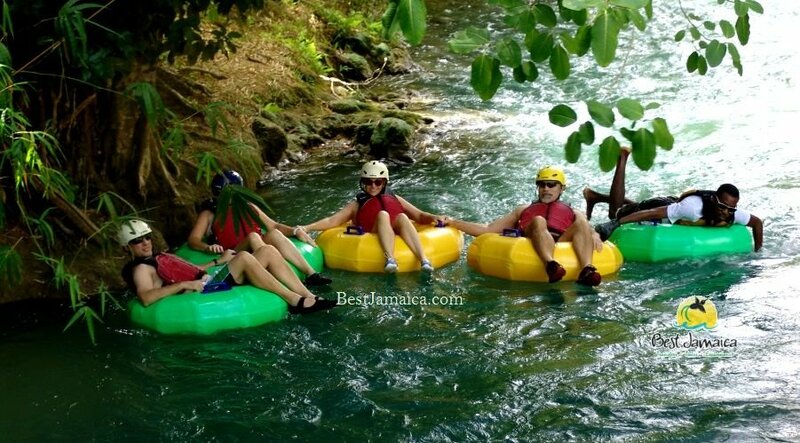 River tubing on the white river is exhilarating while safe for children. 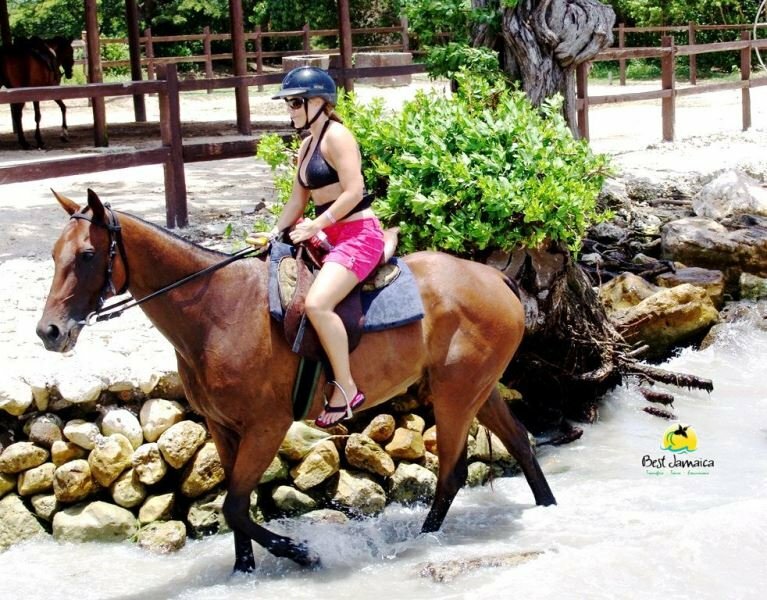 Horseback ride and swim is a tropical experience and now you have the chance to indulge in all that the tropics has to offer on your next visit to Jamaica. Best Jamaica is your number one company who appreciates, satisfies and fulfils all your unique excursion interests. 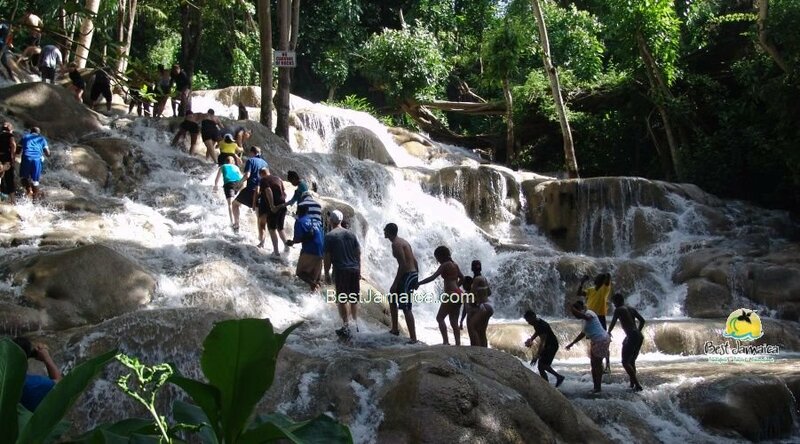 Dunn’s River Falls is Jamaica premier tourist destination. Almost everyone that has been to Jamaica has visited this waterfall and expressed their great love for the adventure. Best Jamaica, the most guest centered Tour Company on the island offers private excursions from the Montego Bay Cruise Port to the Dunn’s River Falls at reduced rates. No one does it better than us, we have great drivers/guides, rates and our vehicles are in immaculate condition. Travel with the BEST for less and enjoy more.